Dr. Jungong Han is currently a Senior Lecturer (Associate Professor) with the School of Computing & Communications at Lancaster University, UK, Previously, he was a senior lecturer (2015-2017) with the Department of Computer Science and Digital Technologies at Northumbria University, Newcastle, UK, a senior scientist (2012-2015) with Civolution (Philips CI), a staff member (2010-2012) with the Centre for Mathematics and Computer Science (CWI), a senior researcher (2005-2010) with the Technical University of Eindhoven (TU/e) in Netherlands, and a research assistant (2003) with Microsoft Research Asia. During the periods of his employment in Netherlands, he actively participated in European projects, including ITEA CANDELA project, ITEA CANTATA (topic leader) project and FP7 FIRESENSE project. He received UK Royal Society Newton Mobility Grant in 2016. Dr. Han’s research interests include Computer Vision, Artificial Intelligence and Machine Learning. He has written and co-authored over 180 papers, including 35+ IEEE Trans and 28+ A* conference papers. All his publications have attracted 3400+ citations with an h-index of 28. His single most cited paper has 1250+ citations. He is an Associate Editor of Elsevier Neurocomputing, an Editorial Board Member of Springer Multimedia Tools and Applications, and an Associate Editor of IET Computer Vision. He served as TPC member, Session Chair, and the reviewer for various conferences and journals. He has been (lead) Guest Editor for five international journals, such as IEEE-T-SMCB, IEEE-T-NNLS. He was the BMVC 2018 workshop co-chair. Since 2009, he is a voting member of IEEE Multimedia Communications Technical Committee (MMTC). Since 2012, he has been a member of IEEE Industry DSP Technology Standing Committee. Apart from publishing scientific articles, Dr. Han also dedicates to transferring the academic achievements to commercial products. During his employment with TU/e, his software (C implementation of the proposed algorithm) has been commercialized and utilized by a start-up company. 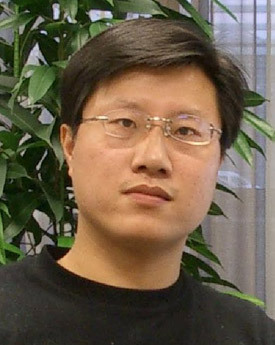 During the period of working in Civolution, his Audio Fingerprinting algorithm was implemented in the SyncNow product, which won several industrial awards.